The Mapview team is planning on introducing an updated app on or about January 19, 2018 which will include new features and a new simplified subscription plan. The new pricing will more accurately match the value users receive from the app, allow us to continue to develop new features, and stay aligned with Apple iOS updates. Utilizing Apple’s new subscription options, all Mapview plans will now have an automatic 30-day free trial. This option has been requested by users who would like to try the full functionality of Mapview vs. a “lite” version. The previous “Lite” plan that was intended for users to try out Mapview will be discontinued. Additionally, the Basic Plan will also be discontinued as we move all of the subscription plan options to an unlimited usage model. We’d rather you focus on planning and routing successful trips than worrying about how many contacts you have mapped! 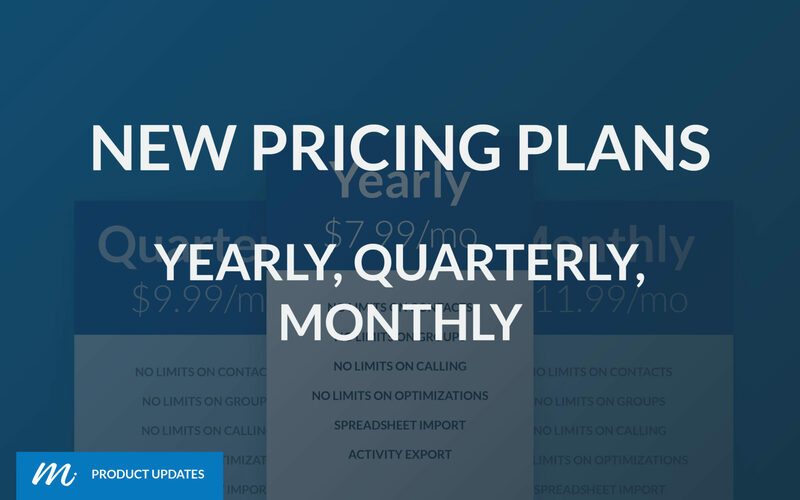 The Pro Plan will be updated to include: unlimited mapping of contacts, unlimited spreadsheet imports, unlimited schedule optimizations, unlimited Mapview calling (VOIP calls to the U.S. and Canada). And a new feature allowing you to export your contact data, groups, and activities to a CSV file for easy reporting and data analysis. What if I am already a customer? Thank you for being a valued customer! All paid subscription customers (Basic, Add-On, Pro) from prior to January 19th will be grandfathered on their current payment plan AND enjoy all of the new features! Please note, once the new release is live, the only available choices for changes to subscription plans or new purchases will be the new pricing options. We look forward to serving our customers in 2018 with some great new features and unmatched customer support!